I’ve always only passed through Hampton on my way to Norfolk and Virginia Beach. After talking to friends and family I realized that my behavior isn’t unique. Most of my family and friends have always only passed through Hampton. If they stopped, they were either visiting Hampton University or in town for the Hampton Jazz Festival. Well, because Hampton has big competition in Williamsburg and Virginia Beach. They’ve always been huge tourist draws. The colonial villages of Williamsburg and the beaches of the Norfolk/VA Beach area have been popular for years. I remember them being affordable destinations of choice for a brief escape from New York. My guess is that part of the reason why people don’t stop is that they don’t realize that Hampton has history and beaches to offer as well. Travel Tip: Go to the beach in Hampton instead of in Virginia Beach. Hampton has 4 beaches and it’s a less crowded option. You can also enjoy free parking at Hampton’s beaches. 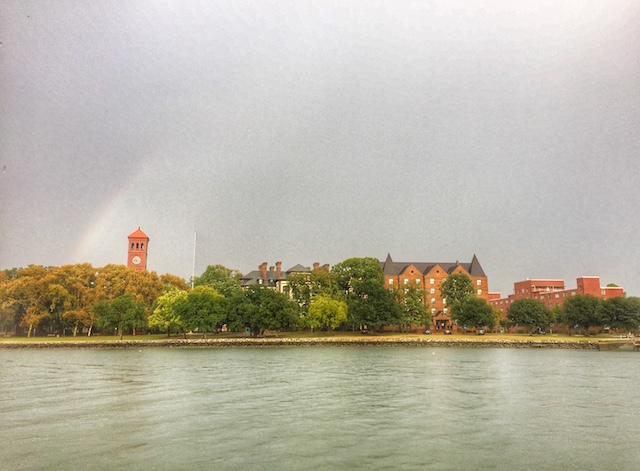 After taking time to explore Hampton with the local CVB, I learned that families, black travelers, and history buffs all have something to discover in the area. Although the first English settlement was known to be in Jamestown, the first landing of British ships occurred on Hampton’s shores when the Virginia Company landed in Hampton almost 4 centuries ago. 2019 marks the cities 400th birthday, one of the oldest birthdays in the country. 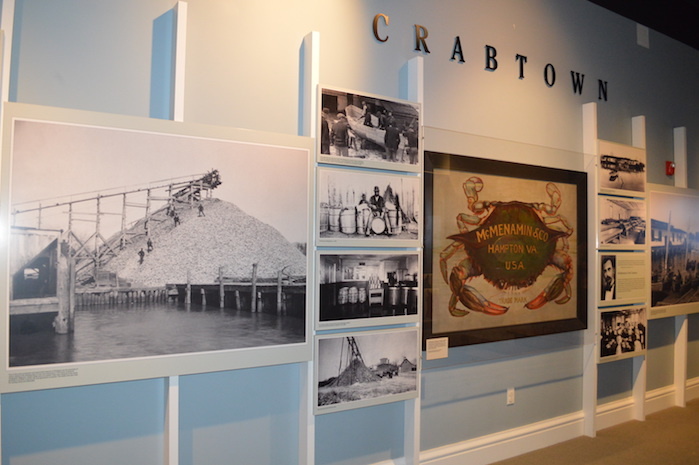 Crabtown, Hampton’s nickname, is an independent Virginia city most notably known for NASA Langley Research Center, Virginia Air and Space Center, Langley Air Force Base, Hampton University, Fort Monroe, the port where English pirate Blackbeard is rumored to have met his demise, and the stomping ground for three black female mathematicians who helped deliver an American into space. 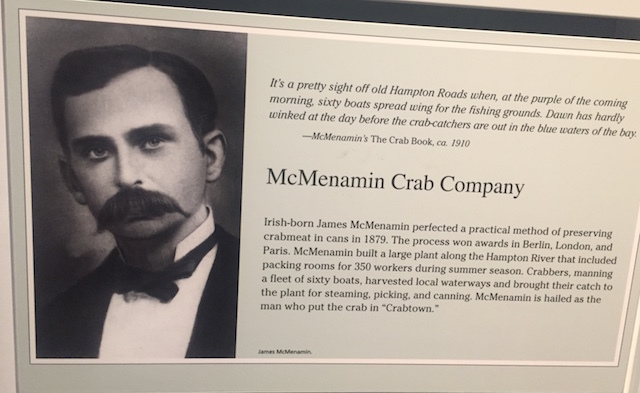 Random fact: The first crab canning company was born in Hampton. 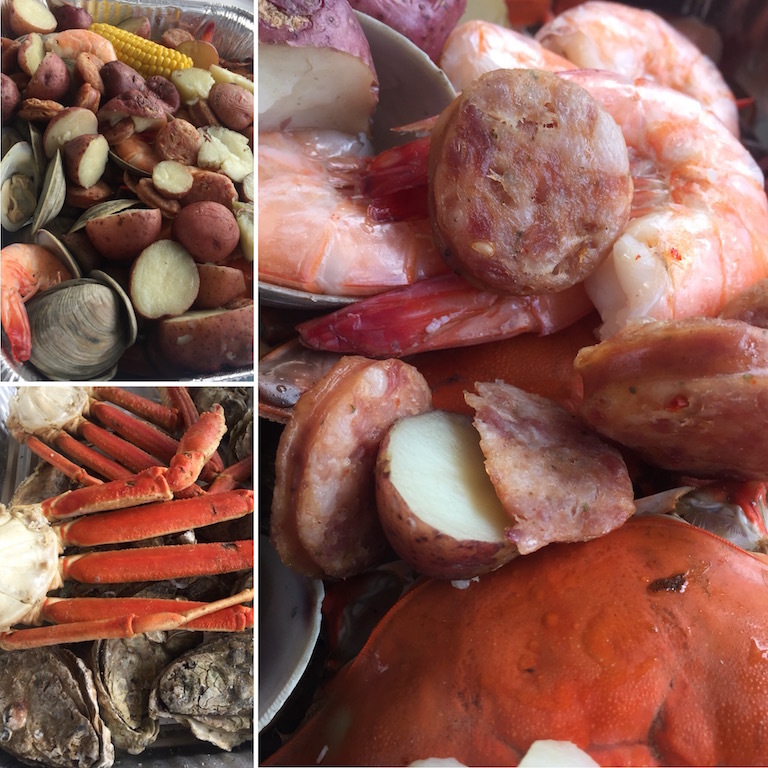 Enjoy a good old fashioned crab boil on Miss Crabtowne Cruises in downtown Hampton in the summer and early Fall. African American history in Hampton runs deep. 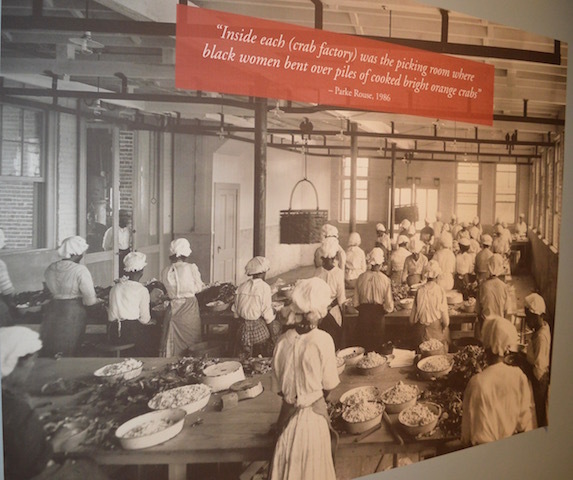 Display of black women picking crabs at the Hampton Museum. The first Africans to ever set foot on American soil did so in Hampton. July 2019 commemorates 400 years since the landing of these first Africans. According to records, a cargo of 20 plus enslaved people from Angola, Africa arrived in 1619. They were transported to the area to work the tobacco fields. Consequently, the first African American was born in America in 1624…in Hampton, Virginia. The three real-life female characters from Hidden Figures were from Hampton. Union Major General Benjamin Butler strategically and tactically uses a legal loophole to grant asylum at Fort Monroe to three enslaved men who run away from their slave owner. They were being used as laborers for the Confederate Army. Per the rules of war, “property” seized by the enemy becomes that of the enemy. Said property is classified as contraband of war. Since the owner refused, the men stayed and were designated “Contrabands of War”. News spread to neighboring areas quickly. Within four weeks, over 900 people showed up on the steps of Fort Monroe seeking asylum. In an effort to prevent Union forces from taking over Hampton, Confederates burned the city. The Contraband Community arose on those ashes. This community was made up of thousands of men, women, and children living in tents that served as temporary homes. 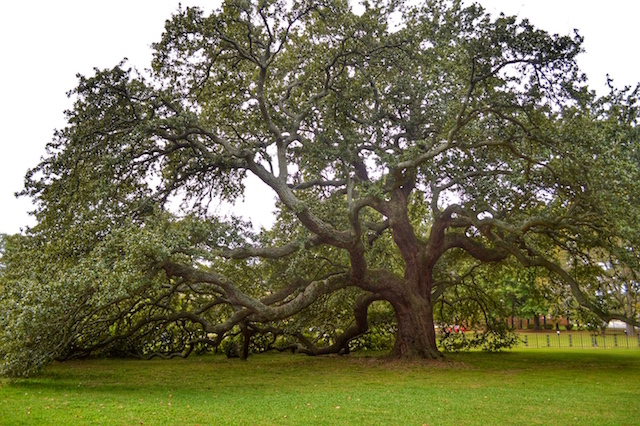 In September 1861 Mary Smith Peake, an educated freedwoman, began teaching classes to displaced African American adults and children under a towering oak tree. That tree still sits on the Hampton University property today. Hampton University was founded by Samuel Armstrong, a Union general and missionary from Hawaii who wanted to encourage students and teachers to also be missionaries. Armstrong built a school that would educate the Contraband Community. Many of those people lived in the Phoebus area. Today, Phoebus is recognized as a historic neighborhood. It’s located just outside Fort Monroe. Next year, the university will celebrate its 150th anniversary. Forty of those years have been under the term of University president William H. Harvey. 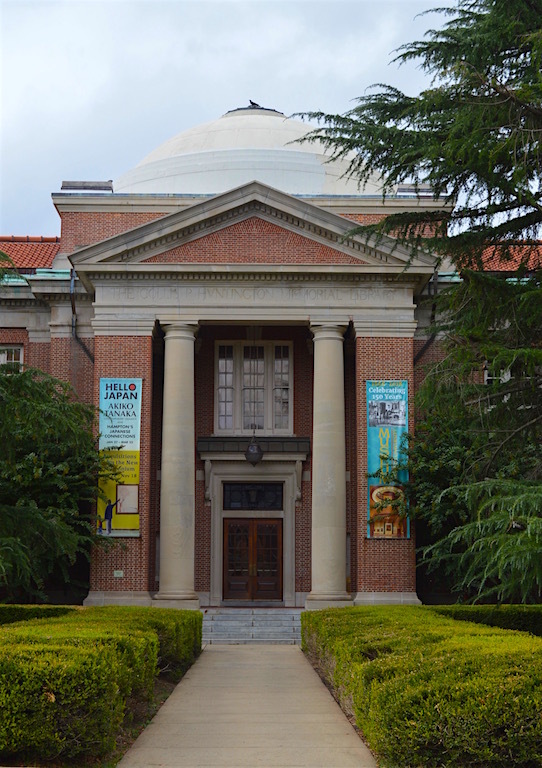 The Hampton University Museum lives in the school’s former library. This art museum houses artifacts from African, African American, Plains Indians, and South Pacific cultures. 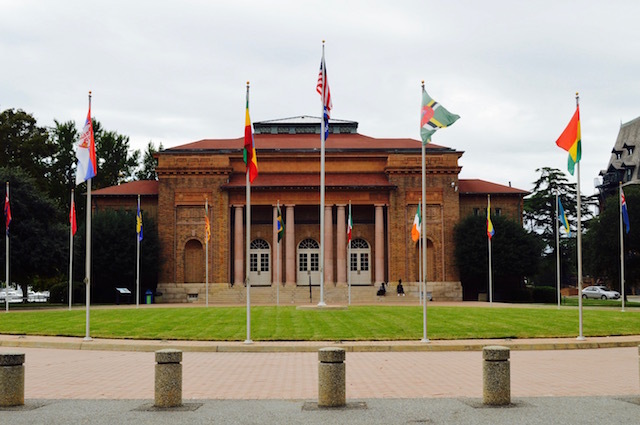 There are over two hundred years of African American fine art in the Hampton University Museum. You’ll find pieces like Henry O. Tanner’s renowned painting, The Banjo Lesson. You’ll also find the Pen of Liberty, one of three pens used by President Lincoln to sign the three legislations for the Emancipation Proclamation. The museum is free to visitors. 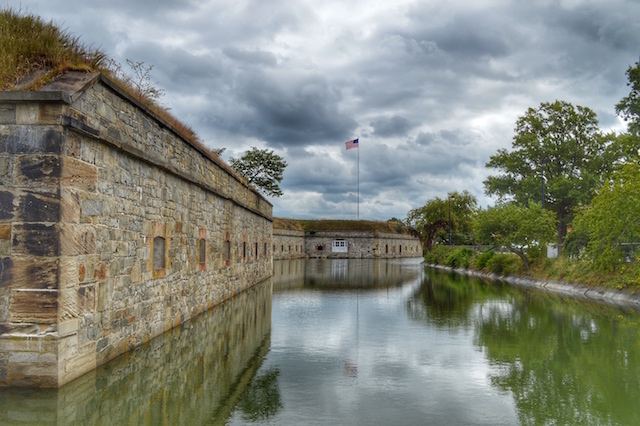 The largest stone fort in the United States is also in Hampton, Virginia. Construction of Fort Monroe began in 1819, however, the site was home to 3 other forts prior to that time. Today, Fort Monroe is a non-active army base that was closed in 2011. It is jointly owned by the State and the National Park Service, serving as a national monument. 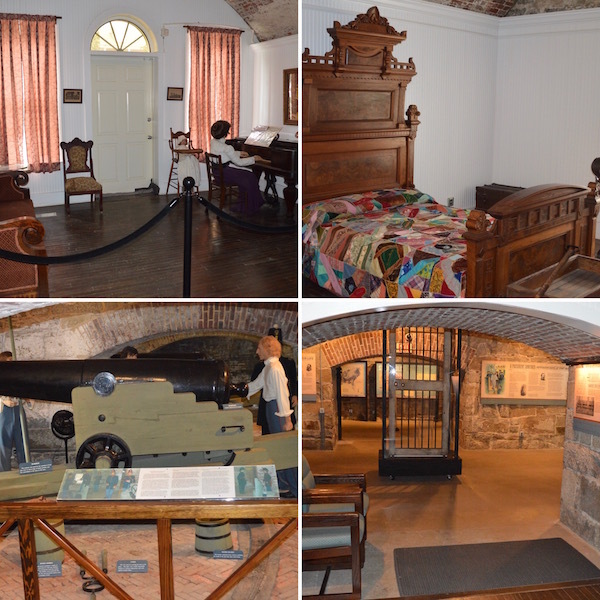 Today private residents rent homes on the 65-acre fort while visitors enjoy free access to the beach. President Obama brought Fort Monroe’s story full circle by designating it as a national monument in 2011. One might make the argument that it was done as a way to pay homage to the base as the first site of emancipation. 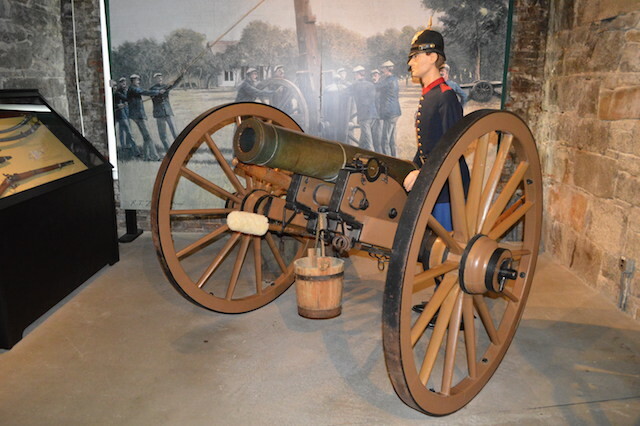 While you’re on the fort, be sure to schedule a visit at the Casemate Museum. There are options for both guided and self-guided tours. The guided tours are only $3 and take you through a chronological journey through the casemates. A casemate is a structural housing for canons. Life and Training depicted inside the Casemate Museum. There are 124 casemates in total at the Casemate Museum. From May through September, you can catch a free daily walking tour that meets just outside the doors to the museum. 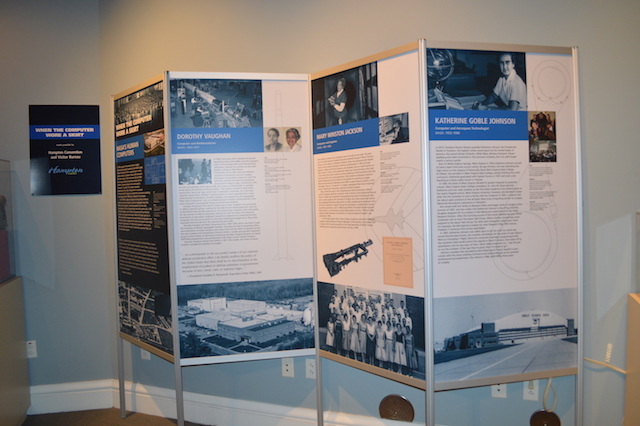 The museum also hosts events throughout the year. 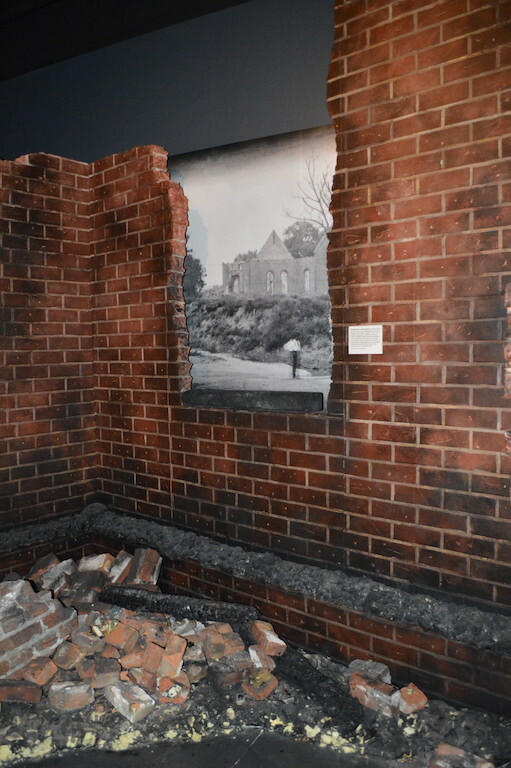 A display at the Hampton Museum depicting one of two major fires in the city. 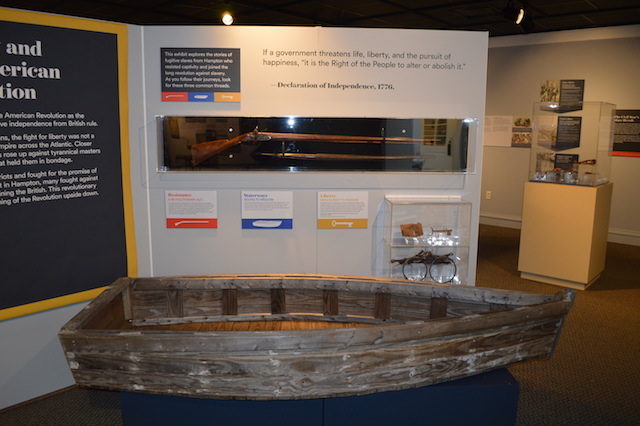 If you want to learn more about the early history of Hampton, spend a couple of hours downtown at the Hampton Museum. The mission of the museum is to share the story of the people who established and built the city. You’ll find artifacts on display that showcase early economics of the settlement, depicting those foundational years of Hampton. You can easily spend a couple of hours here. 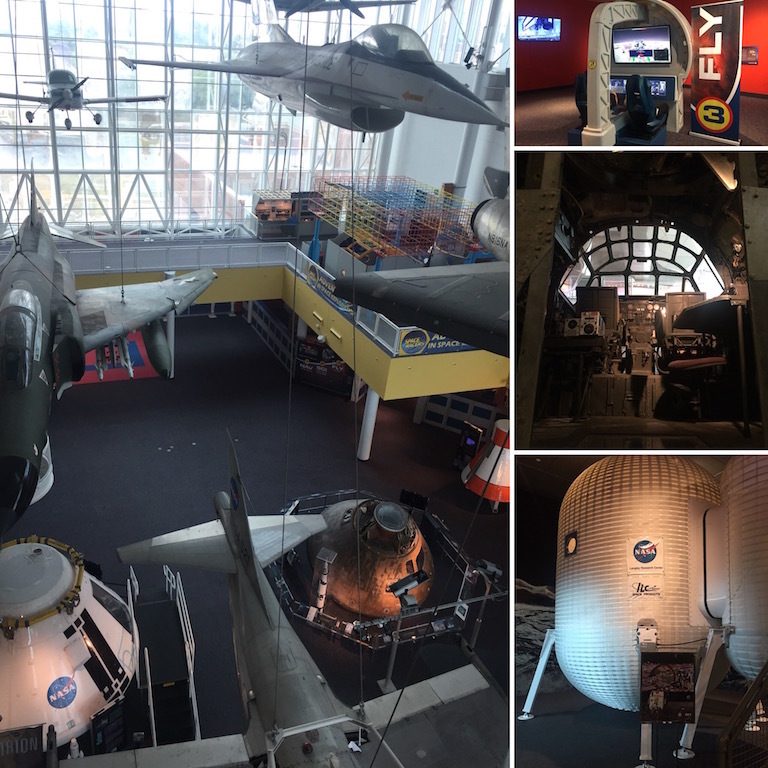 Through 100 exhibits, the Virginia Air & Space Center attempts to take a broader look at air and space science activities at Langley and NASA. 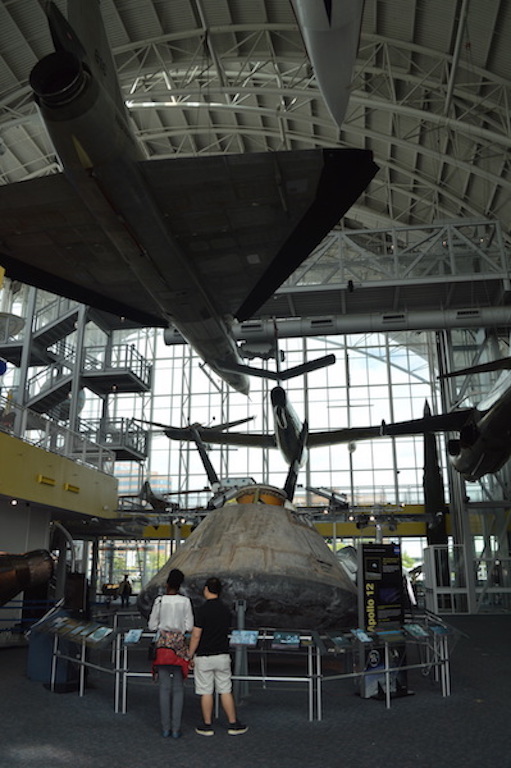 The 25-year old center is the only place which houses all 4 generations of space capsules. It’s a fun attraction that has hands-on activities for kids of all ages. Don’t think for a second that your kids will be the only ones in awe. I could easily entertain myself here for a few hours. 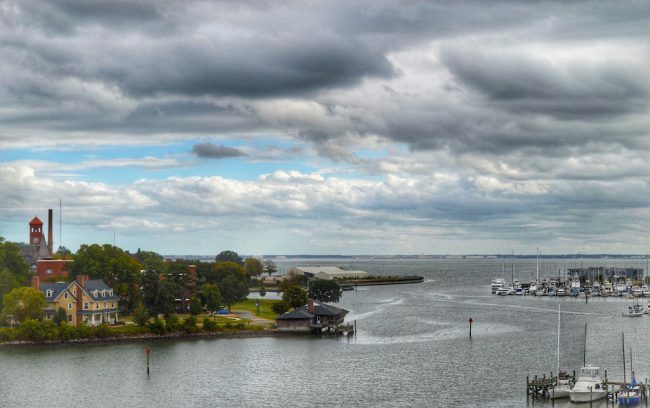 So there you have it – a variety of interesting things to do in Hampton Virginia. Need an outline? Enjoy a sample itinerary below. « Hurricane Season Travel Insurance: How Does It Protect You? Great Article! Who knew? I drive past Hampton all the time. Thank you, Chuck. Hopefully, this article will encourage you to take a stop next time. Excellent Marcus! Let me know what you see when you get down there. Wow! Hampton seems so charming and after reading your post, I am adding it to my bucket list, Tawanna. Is a day trip there enough to see all the highlights? Yes, I think you can do it all in a day. The museums I mention are relatively small and won’t take you more than 90 minutes to 2 hours to explore. Hello I am currently trying to plan a trip for my Family Reunion in Hampton Virginia on July 28, 2018 and would like information that includes the above Itinerary for a day in Hampton . I need to know if there is transportation included and what fees are associated this will include adults,children between ages 18 to 2 . Hi Judith! This was just a free sample of an itinerary that you can use for your travels to Hampton. If you’d like assistance with formal coordination of travel, please send an email to admin@momsguidetotravel.com.